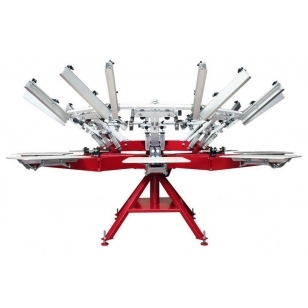 The Thunder is an industrial-grade manual screen printing press designed to handle high-demand printing while minimizing wear and tear on the user. The most durable manual screen printing machine on the market, the Thunder is an excellent addition as a sampling or production press. 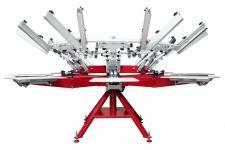 It has the same pallet arm and carousel design as the Anatol automatic t-shirt screen printing machines. The dual bearing system provides easy movement throughout the day. The side clamps are adjustable to hold 26″x36″ screens or smaller.